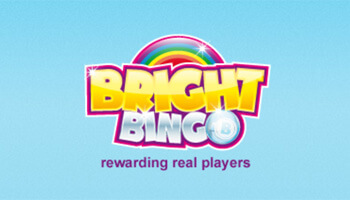 Excellent welcome offer with lots of free spins to win! Visit website for full T&C's. What could be luckier than having four-leaf clovers, horseshoes and leprechauns all in the one place? 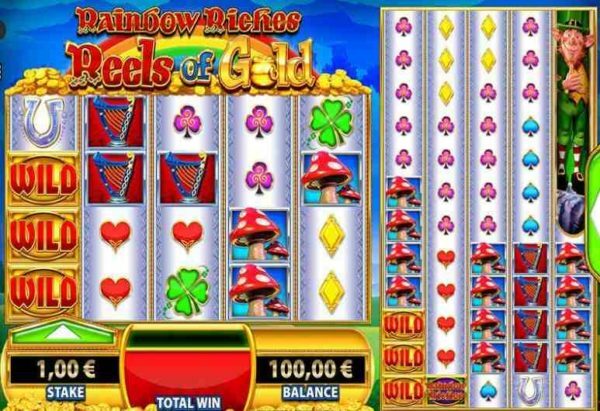 Well if you are feeling the luck of the Irish then why not head over to play Rainbow Riches Reels of Gold today and see if you have been blessed by luck herself. Designed by the ingenious slot developers Barcrest, have fun spinning the reels and seeing if you can find that pot of gold. 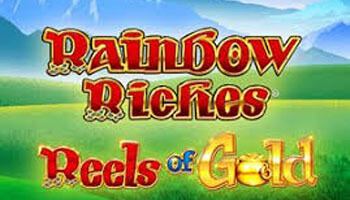 So, if you are intrigued and want to discover more, then continue on in our Rainbow Riches Reels of Gold review. 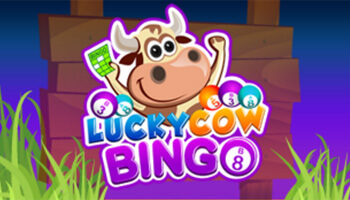 This game is available through a number of online video slot sites such as Top Dog Slots, WTG Bingo and Lucky Admiral. Top Dog Slots – Be top of the pack with this quirky casino site and expect a great time and an excellent welcome with lots of free spins to be won. 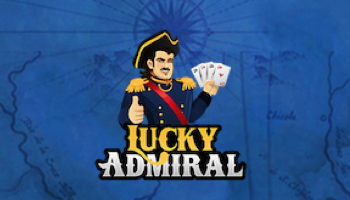 Lucky Admiral – Climb aboard and right from the off you can take advantage of a number of promotions that are sure to have you returning time and time again.  It is important to review the Terms and Conditions carefully to ensure you meet the eligibility criteria before commencing gameplay. The rainbow riches reels of gold slot has a bold design with a touch of the retro vibes about it reminiscent of the classic video slots. Slightly unusually there are two separate reels, one with a 5×4 formation and the other with a 12×5 setup. There are a total of one hundred paylines and behind the reels, you can see a quaint meadow with mountains and a vivid blue sky. The graphics are very detailed and the game features a very life-like leprechaun and as well as the lucky symbols we have mentioned there are toadstools, harps, and the lower-value card suits; hearts, spades, clubs and diamonds. The Wild symbol will replace all other symbols on the reels except for the scatter which is denoted by a balloon and if the left-hand side reels become stacked this will be replicated on the right-hand reel. Bets start from just £0.50 and increase all the way up to a massive £500 making this a go-to game for high rollers, though it does still make a great option for those playing on a budget. As there is no progressive jackpot and you can expect an RTP of between 94 and 98% then a good strategy to stick to is; the more you bet the more you will win. Although those betting smaller amounts can still expect to pick up some good wins too along the way. Bets are controlled from the stake table at the bottom of the base screen and you can access the games Autoplay from the information table at the top-left of the screen. The scatter symbol will appear on the first, third and fifth reels and if you land three of them then you will receive a number of free spins. Overall Rainbow Riches Reels of Gold is an excellent offering from Barcrest with a great theme and some incredible graphics. The soundtrack works well with the theme and you could easily spend hours exploring all of the bonus features this game has to offer. We were quite impressed by what this slot had to offer and would thoroughly recommend it to players who are looking for something a little bit different.